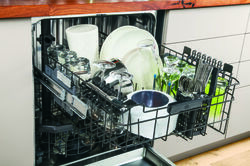 LOUISVILLE, Ky. — Oct. 9, 2013 — (NYSE: GE) — The new GE Profile™ Series dishwasher with a stainless steel interior features 54 percent more cleaning jets than any other dishwasher in the industry. Does that mean dishes get cleaner? 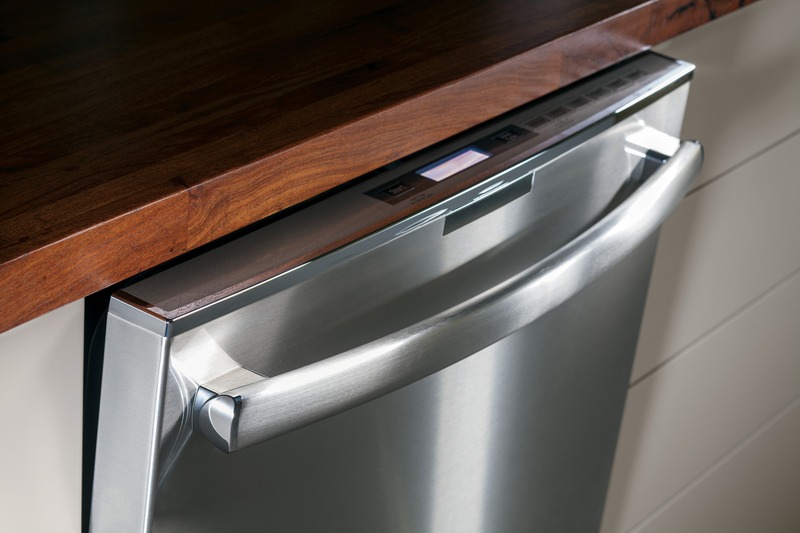 We think so; GE is pursuing nine patents around its innovative dishwasher design. 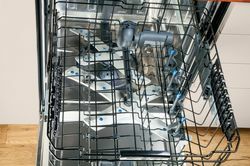 “When it comes to dishwashers, people are pretty straightforward – the cleaner the dishwasher gets their dishes, the easier their lives become,” says Dan Goldstein, marketing manager for GE dishwashers. 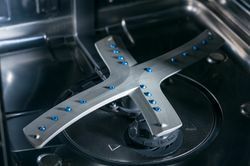 For a thorough soaking, the dishwasher not only contains 102 water entry points—colored blue on the product, it also has a reversible quad-blade wash arm for extra coverage. 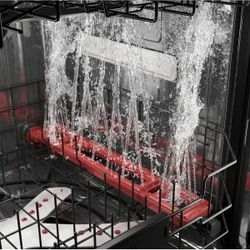 The reversing wash arm is uniquely designed to spray water in various velocities. With varying pressure, the water sprays at 100 percent force for some spins, but the next spin could spray at 60 percent. The variation means different areas on the dishes are hit with water. As part of the 102 cleaning jet wash system, new side jets now cascade fresh water toward the center of the dishwasher to add extra attention to the silverware basket, in addition to other key spaces. Spoons slathered with peanut butter will come out shiny thanks to the combination of the side jets and dedicated silverware jets on the lower and middle wash arms. 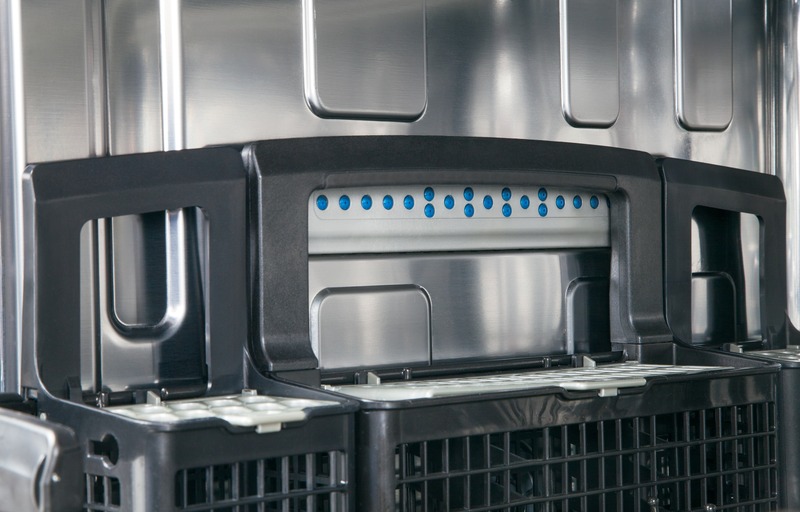 The new GE Profile™ Series dishwasher with a stainless steel interior features 54 percent more cleaning jets than any other dishwasher in the industry. Hold onto your bottles and travel mugs, because this dishwasher has another new and industry-first feature—bottle wash jets. 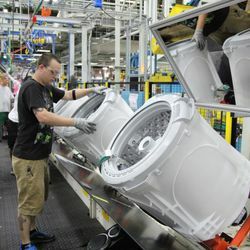 New, dedicated jets—a total of 16—have been integrated into the top rack to clean the bottom of a tall travel mug or dried milk from a baby bottle. The Profile Series dishwasher is available in stainless (PDT750SSFSS) and Slate (PDT750SMFES), and has an MSRP of $1,299*. 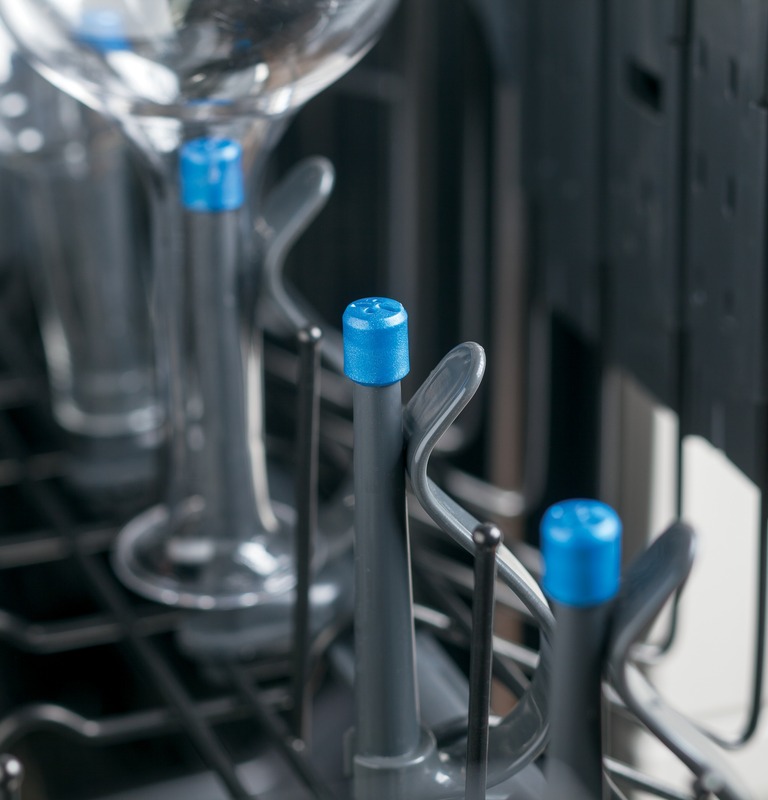 The dishwasher is assembled in Louisville, Ky., and is available now at most major and independent retailers. 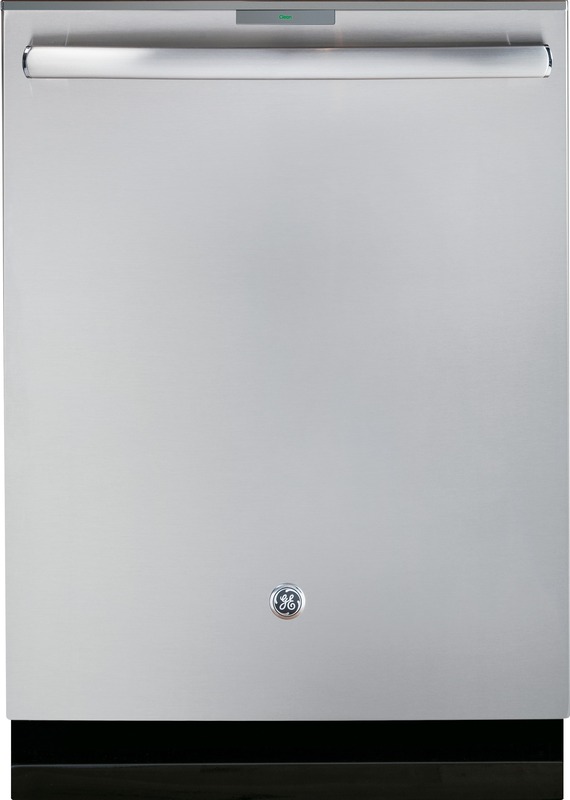 Quiet: At 42 DBA, the dishwasher is incredibly quiet. Custom look: The dishwasher door installs flush with cabinetry. Leveling: An adjustment screw in the front will raise or lower the rear wheels for easy leveling. 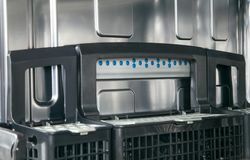 Energy efficient: The average estimated annual operating cost of the ENERGY STAR®-certified dishwasher is $24-$29 a year. *Retailers set their own price. 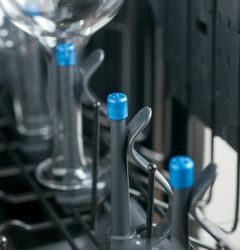 Sixteen dedicated jets have been integrated into the top rack to clean the bottom of a tall travel mug or dried milk from a baby bottle. 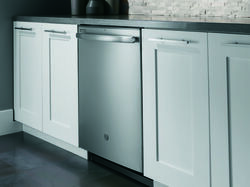 The dishwasher door on the GE Profile™ Series dishwasher installs flush with cabinetry. With the cleaning jet wash system, new side jets now cascade fresh water toward the center of the dishwasher to add extra attention to the silverware basket.